With properly sized magnets and now includes the scraper attachment, Algae Free has made one of the best algae scrapers in the industry. Most of their value is the fact all of them (except the Great White) do float if the connection through the aquarium is lost for easy retrieval, which is the frustrating point for most other magnet cleaners in the industry. 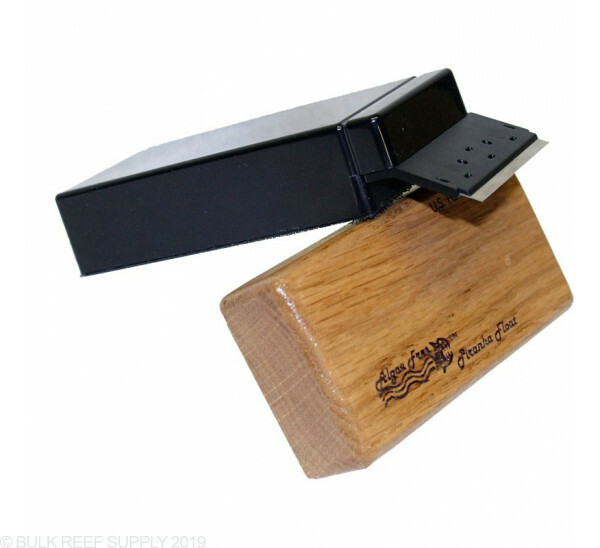 Works with aquariums up to 3/8" thick. 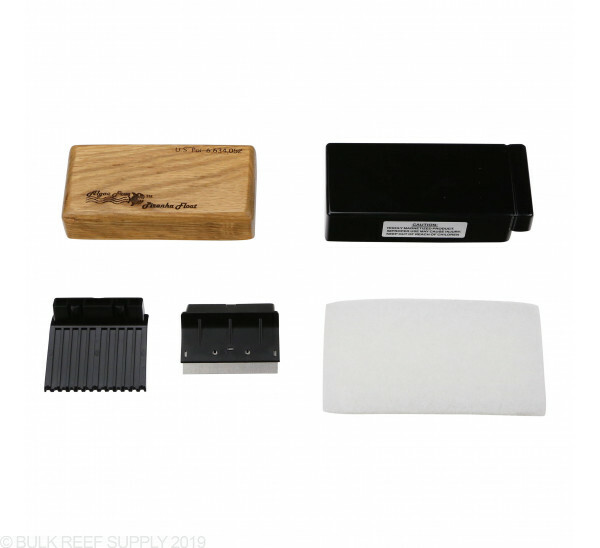 Perfect for Nano and Pico tanks that have thin glass or acrylic. The wet side floats for easy retrieval when separated from the dry side. The new "Plus Series" has a detachable and replaceable scraper blade for glass (stainless steel) or acrylic (plastic) aquariums and will make algae cleaning quick and easy. 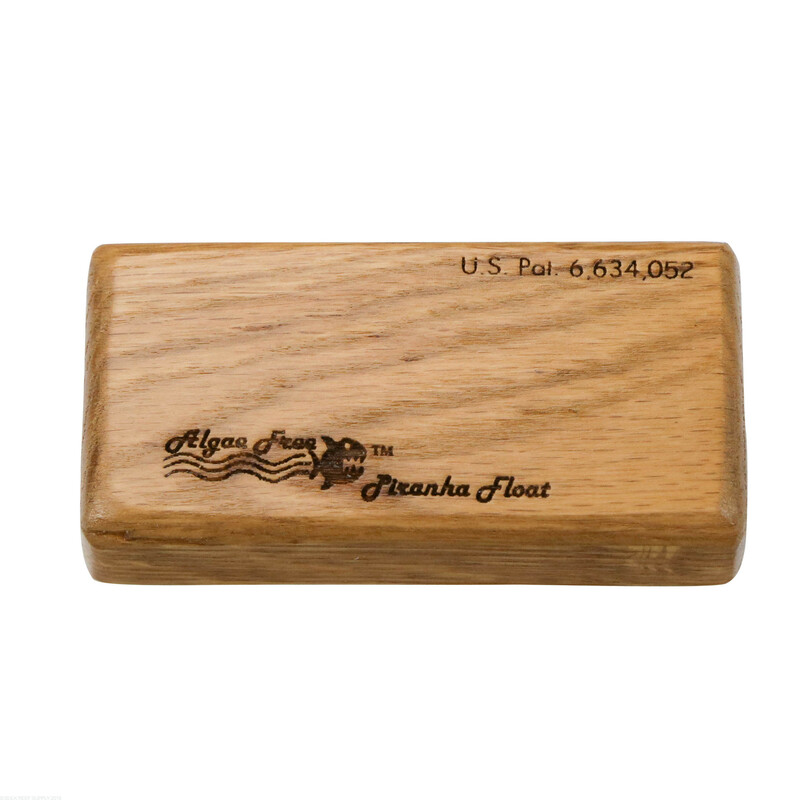 Simply the "Highest Quality" algae cleaning magnet available for the price! 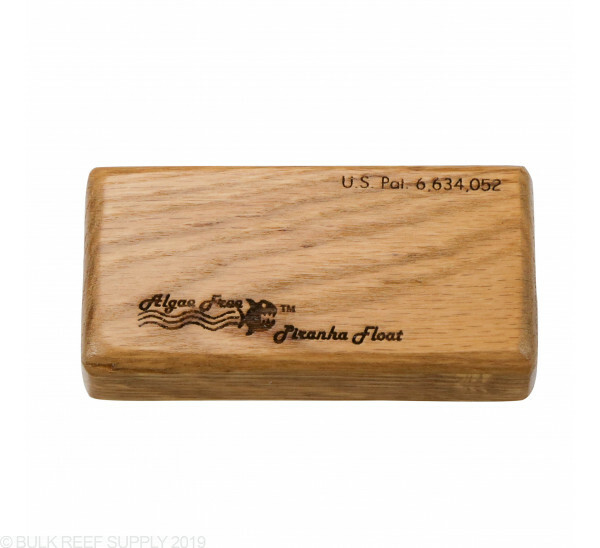 At Algae Free, LLC they make the highest quality aquarium cleaning magnets for use on glass and acrylic aquariums from 10 to 1,000 gallons or with a thickness of 1/8" to 1". Our cleaning magnets are made with Neodymium Rare Earth Magnets, one of the strongest magnets in the world! Algae Free LLC don't use surplus magnets -- only new. All of our cleaners are made of the finest, safest and most cost-effective materials available. The outer magnet assembly is handcrafted in the USA. Inner assembly is non-toxic and can be left inside tank all the time -- it will not rust! A little pricey, but on sale (or not) the Piranha does exactly what it says, and very well. Best magnetic algae scraper I've owned. I have a 75 gal tank and this works perfectly with the magnet being plenty strong. For a similarly sized tank, don't spend extra money on the stronger magnet versions; the manufacturer recommendations for glass thickness seem to be right on. Since I have been using the Piranha glass cleaner, the time it takes to clean the glass has been reduced drastically and my hands stay out of the tank. Great Product ! Have been using this for several weeks and it works great. Quality product. Bought the Piranha Float Plus. Takes everything, including hard to remove algae (coralline, diatom, etc), with minimal scraping. Worked great on my glass surface with the stainless steel scraper. Love that it floats, though the stainless steel part does not. It fits into the floating portion pretty snugly so when you transition from one side of the aquarium to another, it doesn't pop out when you lose your magnetic connectivity. Also won't simply fall out while floating either. It's possible, but so far, I haven't had it happen. i used the magnafloat algae scraper for 7 years on my 75G. I upgraded my tank from a 75G to a 180G and couldn't be happier with the Tiger Shark Magnet i recently purchased. The magnet is very powerful so i do not lose it while im cleaning the glass. I am able to turn corners without the magnet coming apart and getting blown around in the powerheads. 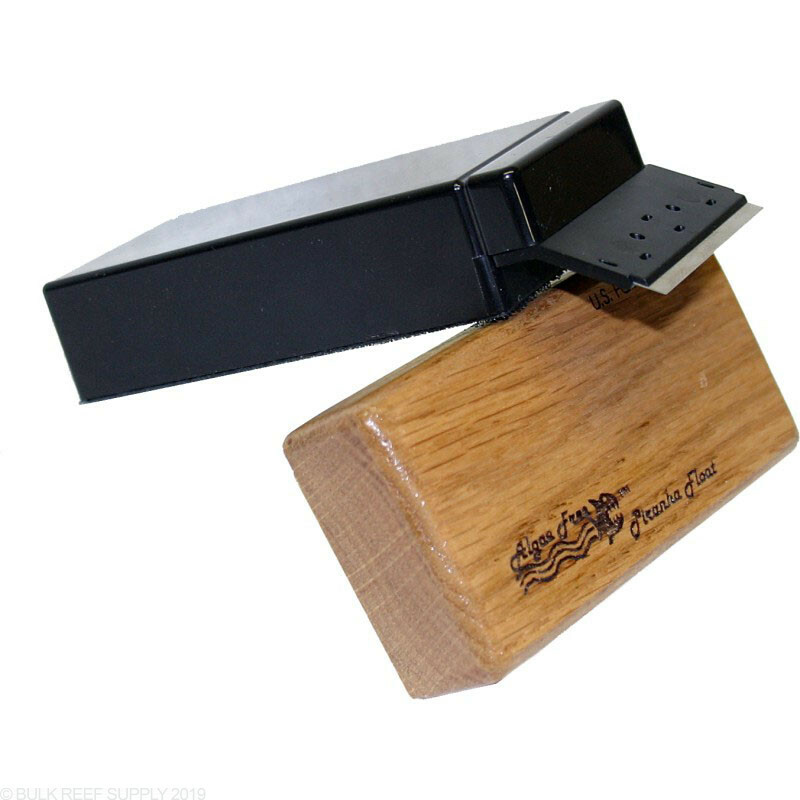 The only scraper you will ever need. The attached razor gets ANYTHING off your glass. If you are looking for something that will literally clean you glass and not work about the magnet coming off while cleaning and you having to try to grab it before it float away, this is the cleaner for you. As the other review mentions, this magnet is a string magnet; definitely better than any other cleaner that I have purchased. Absolutely worth the money. Using it on my 210. Used Mag-Float and Tunze (the worst seems like) and this bad boy hands down kills them in performance. Works great on my 330 gal tank. Unlike my previous scraper, does not separate from the magnate if I try to go fast. The magnet is so strong that it can make my arm a bit tired if there is a lot of algae. Will this work on a typical all glass 120g aquarium? My front pane of glass is 1/2" while the sides are 3/8". Thanks! Hi Brad, thanks for reaching out. The Piranha is rated up to 3/8" glass so it may have a hard time removing stubborn algae from the front glass. I would recommend going with the Hammerhead.